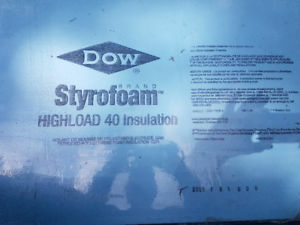 STYROFOAM™ HIGHLOAD Extruded Polystyrene Foam Insulation. 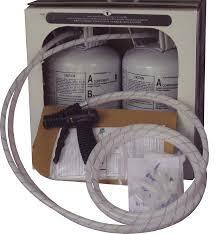 STYROFOAM™ HIGHLOAD Extruded Polystyrene Foam Insulation is a closed-cell foam insulation. STYROFOAM™ HIGHLOAD Extruded Polystyrene Foam Insulation is available in compressive strengths of 40, 60 and 100 psi (275, 415 and 690 kPa), STYROFOAM™ HIGHLOAD insulation features exceptional moisture resistance and R-value* retention. All three STYROFOAM™ HIGHLOAD insulation products resist compressive creep and fatigue, delivering long-term compressive strength. 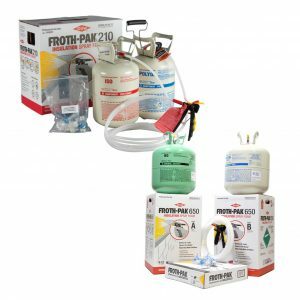 Like all STYROFOAM™ insulation products, STYROFOAM™ HIGHLOAD 40, 60 and 100 are durable, versatile and reusable – making them a preferred choice for a variety of high-load applications. STYROFOAM™ HIGHLOAD insulation is designed for use in low-temperature (freezer floor) applications, highways, airport runways, bridge abutments, parking decks, utility lines, ice rinks and plaza decks. It is the responsibility of the designer to select the proper STYROFOAM™ HIGHLOAD insulation product based on the dead and live loads expected in the application.